America’s favorite pastime may be baseball but for children in school, it’s definitely recessed! Just ask a group of students their favorite subject in school and you’re sure to get a loud enthusiastic array of “recess”! And much to the delight of students and parents alike, recess appears to be on the upswing. In 1998, only 40% of elementary schools offered a daily recess according to the American Association for A Child’s Right to Play. Today, recess is on the upswing, where 68% of schools now offer a daily recess for elementary school students (SHPPS 2006). We still have a way to go, however, as prior to 1989, a National Association of Elementary School Principal’s survey indicated that 9 out of 10 schools enjoyed daily recess. You may be wondering, “Why is recess on the upswing?” There are a number of reasons but certainly, the efforts of the National PTA and the Cartoon Networks Rescuing Recess Campaign would each be center pieces as the impetus for change. In 2006, the two joined forces after identifying that due to budget cuts and increased academic pressures, only 8 states had written policies protecting recess. Since 2006, the Rescuing Recess Campaign has raised over $4 million for a media campaign and grants to schools for reinventing and restating daily recess. In 2007, a National Recess Week was added to continue to raise awareness. Another significant force in the reinstating of recess has been parental efforts. A survey by the Healthy Schools Campaign found that 3/4 of parents want recess mandated and 90% of teachers and parents want daily recess for children. Encouraged by the new information, parents decided to take action with the support and leadership of the National PTA. Parent leaders across the country made presentations to local school boards, secured the support of the local press and lobbied legislators to have recess mandated at the state level. Their concerted efforts worked. 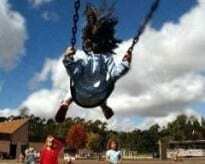 In 2007, state legislation or state resolutions for recess was enacted in Oklahoma and Arkansas, and recess legislation or resolutions were considered in Connecticut, Illinois, Kentucky, Massachusetts, New York, South Carolina, Texas, and Virginia. In all, 15 states now have written policies either recommending or mandating daily recess. The movement appears to be growing with additional states reviewing resolutions or policies each year. A huge wave of support and actions towards reinstating daily recess was launched by teachers. They were also among the first to speak up locally regarding the elimination of recess. They saw first hand that recess was not merely “child’s play”, but rather that it was harder to teach children without a morning break as kids got antsy after long periods of sitting. Their actions manifested into Position Statements in Support of Recess from a variety of professional educational organizations including the National Association of Elementary School Principals , the State Directors of Preschool Departments of Education, the National PTA, the National Association for Sport & Physical Education, the American Association for a Child’s Right to Play, the National Association for the Education of Young Children and The Council on Physical Education and Play, to name a few. A movement was spreading. A Georgia State University study found that fourth-graders who had PE three times a week but no recess were less focused and more fidgety than those who had both. Studies also show elementary school children are more physically active during recess than gym class. Researchers pointed out that recess may be the only time in a child’s day when he or she has the opportunity to exercise, play games, and interact with peers. Clements (2000) states that by participating in these types of unstructured activities, children are able to develop the social, emotional, physical, and cognitive skills they need to be successful in both school and society. Childhood health problems caused by inactivity or under-activity are a growing problem in the United States. “The prevalence of childhood obesity in the United States has risen dramatically in the past several decades” (Moran, 1999). Studies suggest that children can significantly reduce their health risks by simply increasing the amount of time that they exercise. Many elementary schools offer physical education (PE) classes as part of their standard curriculum, but studies show that PE classes are not enough (Council on Physical Education for Children, 2001). 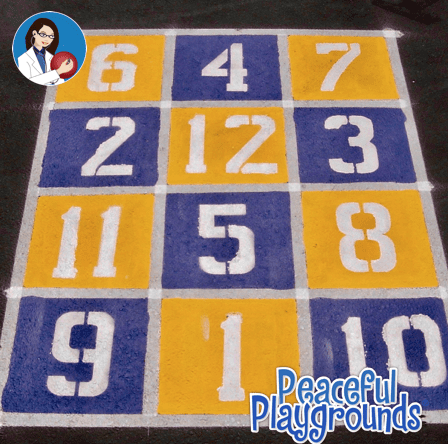 The opportunity to engage in additional activities, such as recess play, may help to alleviate or avoid possible health problems and is very important to a child’s muscle development and coordination. 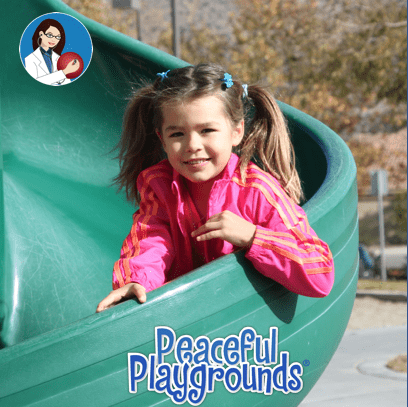 Studies have shown that unstructured play, specifically outdoor play, encourages physical activity in a unique way. Therefore, children benefit from both recess and PE, but neither can be substituted for the other according to the National Association for Sport & Physical Education . Recess also improves academic achievement, social skills, and generally is the reason why some students attend school-even if unwillingly. Recess is consistently and overwhelmingly cited as children’s “favorite subject in school” (IPA/USA). For young children, recess can provide a welcome respite from intense cognitive activity and stress that the school environment produces for some children. During the elementary school years, it is especially valuable as a rare time in which children can develop peer relations and social skills. These skills, in turn, are important to children’s successful adjustment to school (Pellegrini, 1995). The growing support for daily recess is gaining momentum. Parents, educators, and public health organizations have all engaged in the effort to bring back daily recess for elementary school students. The movement was lead by the National PTA which engaged the support of the Cartoon Network in a successful campaign to “Rescue Recess” and the effort gained momentum when professional educational organizations joined in. Then, parent advocacy at the state level leads to recess resolutions and legislative mandates to reinstate recess at both the state and local level. Once again, the sounds of children at play, like “Red Rover, Red Rover”, “I’m first up,” or “you’re it” will be heard on school yards across the nation.